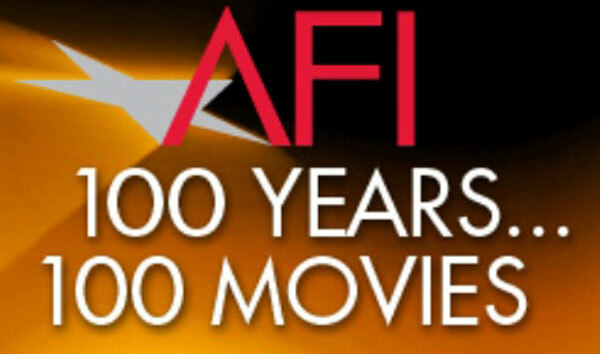 When the AFI released their original 100 Years...100 Movies in 1998, I watched the television special and was glued to the TV to find out the results. When the 10th anniversary edition appeared with 23 different movies, it flew by me with barely a notice. Since my current marathon is digging into movies from this list, it seemed like the right time to check out the updates. I didn't expect there to be any major shifts, so it was a surprise to notice such dramatic changes. For this Top 5, I've included some interesting changes for me that represent improvements. While I understand that any rankings that contain such a large group of entries are hardly concrete, it's great to see these movies getting the attention. I was stunned to see the poor spots (or lack of any placement) in the original version. I know were other moves in the 2007 release, but these are some of the big ones. 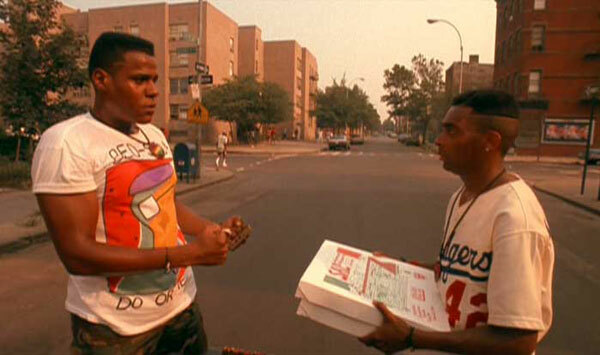 Although it's sitting near the bottom, it's refreshing to see Spike Lee's stunning 1989 film within this fine group. It remains one of the pivotal movies about modern race relations, and the issues it addresses are just as pressing today. 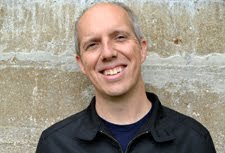 Lee takes his time and creates the environment of the Bedford-Stuyvesant neighborhood before revealing the many cracks underneath the surface. He shows how the tensions that are always present reach new heights on the hottest day of the summer. Looking at its spot, it's remarkable to note the powerhouse films that reside in the 90s. That segment includes Goodfellas, Pulp Fiction, and Blade Runner, and I expect all to move up when another list appears in the future. While rising 15 spots might not seem significant, I'm glad to see the continued appreciation for Walt Disney's landmark 1937 film. He nearly bankrupted the company to make the feature-length animated movie, and the success changed Disney and the industry forever. Viewed today, it's still an impressive production and doesn't feel like a 75-year-old creation. I believe that Snow White deserves to be even higher on this list, but I appreciate the forward movement. It's sad to note that the only other animated film in the entire 100 is Toy Story at #99. Given this trend, it's amazing that this key picture actually is moving forward. It feels a bit like a consolation price to an undervalued genre, but it's still a positive upgrade. When I realized that one of the key figures in silent film was missing from the original list, I kept re-reading it to ensure that I hadn't missed him. How was The General missing? While I don't consider it his best movie, it's still a classic that deserves a place in this collection. On a related note, Charlie Chaplin had three pictures in the original group, but none were higher than The Gold Rush at #74. That's crazy! Thankfully, the 2007 version did correct this problem. 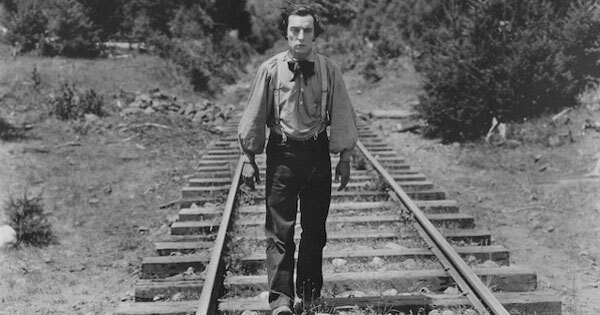 Getting back to Keaton, the combination of physical comedy and remarkable stunts makes him one of the signature artists of film history, not just from the silent era. It's great to see him as part of the new list, especially at such a prime spot. 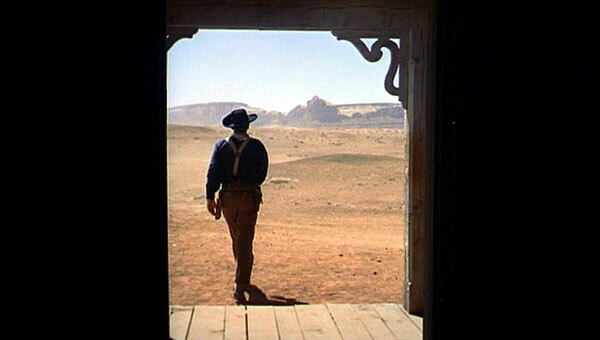 Another head-scratching moment was trying to find John Ford's remarkable western in the first AFI list. It ended up barely making it at #96, which was 63 spots below High Noon. I have nothing against Fred Zinnemann's effective film, but that disparity is pretty shocking. I don't believe that The Searchers is perfect, and the 12th spot might be a bit high. However, it deserves a much better placement than near the bottom. It's not like this is a new movie. It was released way back in 1956! It includes one of John Wayne's best performances as Ethan Edwards because he brings a raw intensity to his standard demeanor. This recognition for such an influential film corrects one of the stranger misses from the 1998 list. When I review the top 10 films in the 2007 rankings, one movie stands apart from the rest of the group. 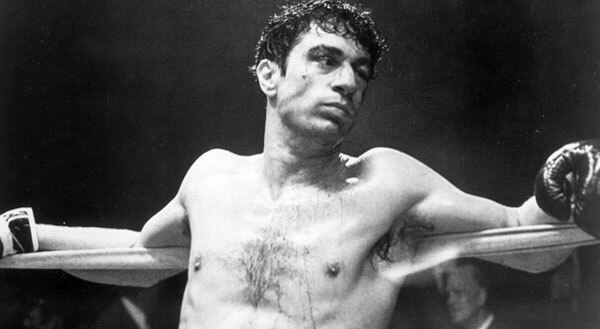 It isn't even my favorite Scorsese picture, but Raging Bull is a striking piece of film making. The only other movie in this group that wasn't part of the top 10 in 1998 is Vertigo at #9. Although it's impossible to quantify what makes the "best" film, both of these examples represent a stunning artistic vision. Seeing this film appear right after Citizen Kane, The Godfather, and Casablanca is pretty amazing. I love all of those picks, but they're more conventional in the context of this type of ranking. I'm hoping that a future edition will include more examples that seem cut from a different mold than the expected choices. I'd love to hear your thoughts about this list. Do you agree that these are positive upgrades? You should also check out past Top 5 Lists if you've missed them. It's been ages since I saw Snow White and the Seven Dwarfs, but I have the DVD so I might pop that in one of these days. Nice to see an animated feature quite high on the list, though I think the visuals of Sleeping Beauty is far more spectacular. Ruth, I really need to revisit some of the other Disney animated films like Sleeping Beauty. 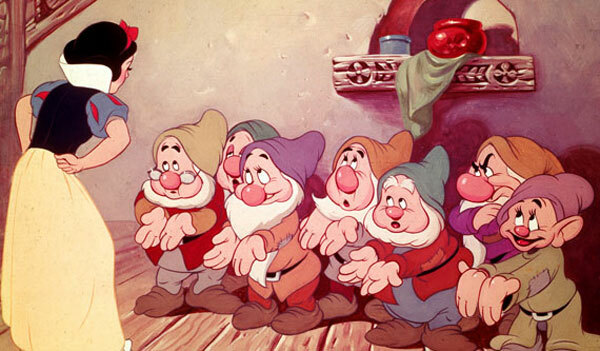 I think the movies after Snow White are sometimes more visually stunning, but that gets the recognition because it was so groundbreaking at the time. Great picks, Dan. I'd also mention City Lights (up 65 spots to #11) and the debuts of Sullivan's Travels, Who's Afraid of Virginia Woolf?, Sunrise, and 12 Angry Men. It's also interesting that the The Sound of Music moved up 15 spots to crack the top 40 at #40. I guess it really is still popular. Josh, I didn't notice the City Lights move until I was in the middle of writing about The General. I can't believe it was so low at the start! It's also stunning that Sunrise and Sullivan's Travels weren't in the original list. I know they can't fit in everything and it's based on voting from a lot of people, but that's pretty crazy. Thanks! I love the idea of these lists being ever evolving entities, especially with revisions not just being made to contemporary films but also for older films. I agree. I expect there will continue to be major shifts as different people vote and opinions about certain movies change. It's pretty crazy to note some of the movies that weren't on the 1998 list or were near the bottom. Wow, that's shocking that they didn't include a single Keaton film in '98. Makes me wonder how they could have such a glaring omission. Fun list, Dan, that's the first time I took a look at the whole list, too. Thanks Eric. I think having such a large number of voters leads to more strange omissions and placements out there. I expect it has to be a case where not enough people had seen the movies. That's pretty sad for this type of list, but that's my guess. My favorite bit of irony between the two lists is that Griffith's The Birth of a Nation was on the original one because of its place in film history. People complained that its plot was offensive (which it is), so the updated list removed it - and replaced it with Griffith's film Intolerance - a fitting title for the entire situation. The original list was also criticized for not having any early comedies other than Chaplin on it, so they specifically created the 100 Laughs list the very next year. Quite a few early comedies were on it, including mutiple Chaplin, Keaton, and Marx Brothers. Only one Lloyd film made it - Safety Last! - and only barely at #97. Later lists also tried to address lacks in regards to thrillers, romance, and cheers. Some movies show up on more than one list. All in all, they have a total of 412 unique movies across their movie-specific lists. I've worked on these lists from time to time and according to my consolidated tracking sheet I've now seen about 90% of them. I agree that the Birth of a Nation/Intolerance switch is strange and an easy way to bypass the racism charge in his first epic. Intolerance was Griffith's response to the criticisms of racism in Birth of a Nation, which makes it an interesting twist to have it in there. All those AFI lists have gotten pretty ridiculous. It's hard for me to take any of them very seriously, even the original 100. I do think it's good for helping younger viewers seek out some classics, though.